Imprint - Hose crimpers, hydraulic crimpers, Workshop crimpers, Production crimpers : UNIFLEX of America LLC. The content and presentation of the websites operated by Uniflex-Hydraulik GmbH are copyrighted. The reproduction of single or several elements, the use or reprint of the information presented there in other media – in full or in part - is not allowed without prior permission. Whilst Uniflex-Hydraulik GmbH is taking every effort, accuracy of the information as well as permanent technical availability cannot be guaranteed. 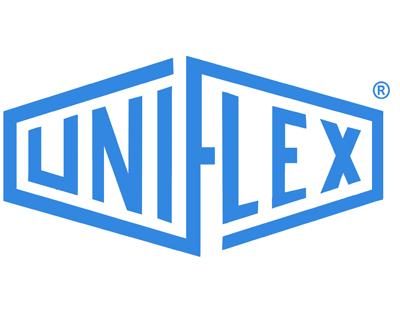 In particular, no liability can be assumed for the content of links to external websites; Uniflex-Hydraulik GmbH expressly distances itself from such contents. This website uses Google Analytics, a web analysis service of Google Inc. ("Google"). Google Analytics uses so-called "cookies", i.e. text files stored on your computer to allow an analysis of your activities on this website. The information generated by the cookie regarding your activities on this website (including your IP address) is transferred to a Google server in the United States where it is stored. Google will use such information in order to evaluate your activities on this website, compile reports on the website activities for the website owners and provide other services in connection with website activities and internet activity. Google may also provide such information to third parties to the extent this is required by law or third-parties process such data on behalf of Google. In no case will Google relate your IP address with other Google data. You may prevent the installation of cookies by an appropriate setting in your browser software; we advise you, however, that you might not be able to fully use all functions of this website in this case. By using this website, you agree with the processing of data collected on you by Google in the above-described manner and for the above-mentioned purpose.